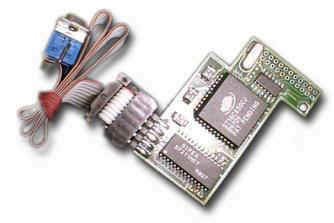 High-Speed serial card that uses the A1200 clock port and compatible ports and several cards. Supports speeds up to 691,000 bps. o New design for an easier fit in different hardware configurations. o Very fast serial interface for Amiga 1200, 460,800 bps (up to 691,200). o Although recommended, it doesn't require a Tower case to work. o The Twister 1200 Mk II is the only serial card for Amiga 1200 supporting FIFO based automatic flow control. (The receiver is able to hold the transfer if the sender is too fast. Unlike the standard Amiga serial port or other similar products, the well known "hardware buffer overrun" message is obsolete. Information from Kato Developments Website.